This Dave Friedman-designed module combines two popular amps – the BE-100 (BE) and Buxom Beauty (BB) – in a dual-channel format. Both channels are powered by a pair of 12AX7 preamp tubes, giving you a variety of BB and BE-flavoured tones. The former is designed for crystal cleans and boosted leads, while the latter is voiced for a vintage, Brit tone that can be tweaked for a more aggressive distortion. In terms of controls, each channel comes with dedicated gain and volume knobs along with a three-band EQ. The BB channel also features a three-way bright switch and a two-way mid boost toggle to further shape its clean tones. Crafted by amp designer Horst Langer, the Engl SAVAGE has gained a reputation for producing “searing leads with a string-to-string clarity”, according to Synergy. 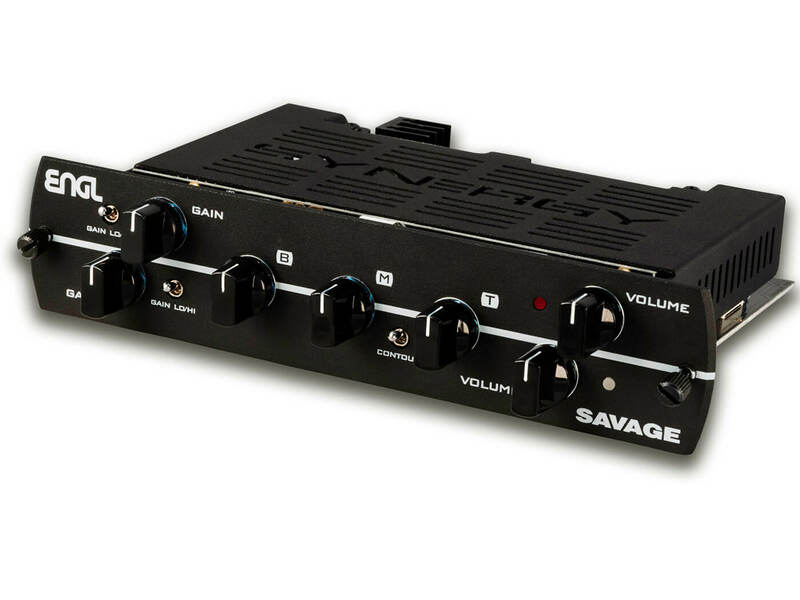 Langer has now condensed the SAVAGE’s tonal palate into a dual-channel preamp module. This unit features an all-tube design, and its tones can be shaped by two gain lo/hi switches, a three-band EQ and a contour switch. This preamp module is a tribute to the famed Dumble Overdrive Special. 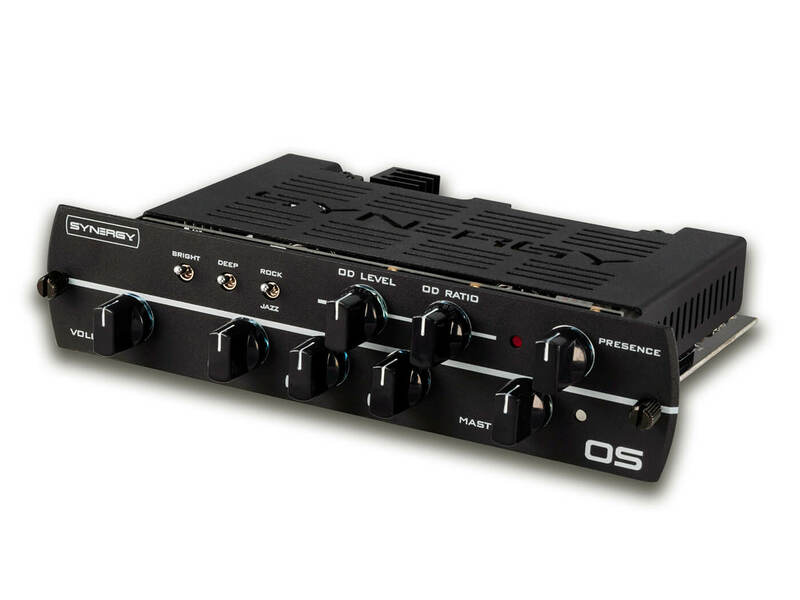 It features two footswitchable channels – clean and overdrive. The former is designed to produce a Dumble-like clean with mid-forward clarity, while the latter has a singing sustain reminiscent of the iconic Overdrive Special. 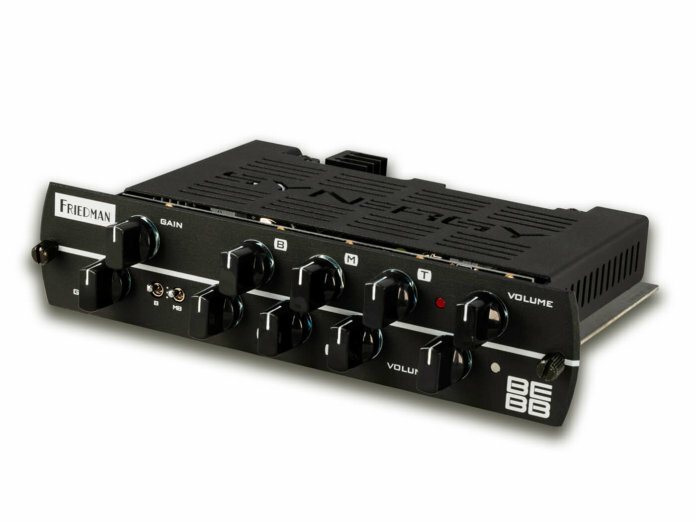 As for controls, the module comes with three switches – bright, deep and rock/jazz – a three-band EQ and a presence control to dial in clarity. Retails at $399.99 each. More info at synergyamps.com.